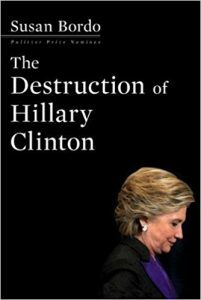 This highly entertaining and fast-moving book provides an extensive analysis of what caused the failure of Hillary Clinton’s unwieldy and hugely expensive campaign to carry its highly favored candidate across the finish line. From the outset, suspicions and unanswered questions trailed her candidacy, many of them centering in the size, reach, money-making activities and dubious associations involving the Clinton family foundation, and its various spin-offs. There were the unresolved questions about her role in Benghazi in particular and the Middle East in general during her tour at the State Department. Nor as the campaign proceeded did the situation improve. Unanswered questions about email use and servers persisted, with no admissions, no apologies, always something negative playing in the background, with never a full and direct statement by the candidate herself to clear the air. Nor from the day she launched her candidacy at a rally on New York’s Roosevelt Island in an awkward, committee-written speech, was she able to explain why she was running. At the rally she managed to come up with this: “‘America can’t succeed unless you succeed. That’s why I am running for president of the United States.” That was it – as the authors put it, “a trite tautology” – and throughout the campaign, she was never able to improve on it. For reasons yet to be explained, she chose to put her campaign into the hands of a youngish technocrat, appropriately named Mook, whose faith lay in “data analytics,” and whose computer-generated analyses apparently helped convince her that her victory depended on appealing primarily to several distinct constituencies – women, blacks, academics and gender-challenged people. As for the deplorables, those white working men and women once thought of by Democrats as the heart and sinew of their party, they could be taken for granted; and despite warnings from seasoned politicians like her husband, who read the volatile national political mood, they were. Jonathan Allen and Amie Parnes, both well-established Washington journalists and authors in 2014 of “HRC: State Secrets and the Rebirth of Hillary Clinton,” one of the best of the books discussing her prospects for a presidential run, made a point of getting to know key figures and staffers when the campaign was still in the planning stage. At this writing, Hillary Clinton and her remaining bitter-ender loyalists, many of whom will no doubt find sinecures at the foundation or related family businesses, are reportedly furious about the leaks and trying to identify the leakers. But one suspects the Clinton brand has been pretty thoroughly shattered. If Richard Nixon perfected the modern presidential campaign, Hillary Clinton may have destroyed it. In the end, there was too much – too much money, too many advisers, too many staffers, too many factions (the authors identify four power centers in the campaign, each with its own agenda), pointless scheduling with dubious events laid on and important venues totally neglected. And the money flowed. Donald Trump’s “leaner beast” was essentially the antithesis of Hillary’s many-headed Hydra. He was, in fact, the totality of his campaign, tweeting, manipulating the press to give him all the free media he needed – no layers of consultants, advisers and staffers, no data analytics, no Mooks – just Trump. When the dust had settled, Mr. Trump’s campaign had spent $600 million, Hillary’s $1.2 billion, twice as much. No doubt Hillary Clinton’s hopes and aspirations were shattered with the loss, for which she deserves a measure of sympathy. And that presidential glass ceiling of popular political mythology will remain intact until, as in Great Britain or even Germany, the right candidate who is also a woman comes along to do the ceremonial shattering. • John R. Coyne Jr., a former White House speechwriter, is co-author of “Strictly Right: William F. Buckley Jr. and the American Conservative Movement” (Wiley).